Product prices and availability are accurate as of 2019-04-22 05:21:45 UTC and are subject to change. Any price and availability information displayed on http://www.amazon.com/ at the time of purchase will apply to the purchase of this product. From Incredibles 2, Edna jack-jack summer convention exclusive, as a stylized pop vinyl from Funko! figure stands 3 3/4 inches and comes in a window display box. Check out the other Incredibles 2 figures from Funko! collect them all! 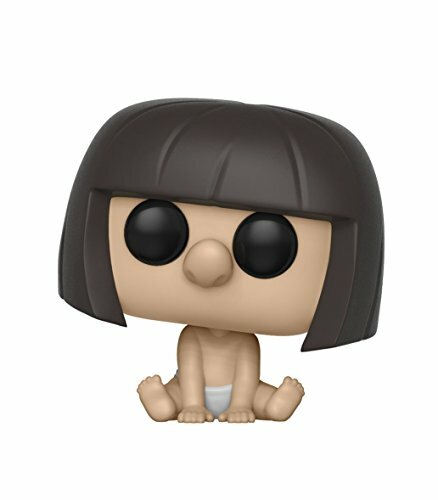 From incredible 2, Edna jack-jack summer Convention exclusive, as a stylized pop vinyl from Funko! Stylized collectable stands 3 ¾ inches tall, perfect for any incredible 2 fan! Collect and display all incredible 2 pop! Vinyls! Funko pop! is the 2017 toy of the year and people's choice award winner This item is a summer Convention exclusive!